The asteroid, which is believed to be about 1.7 miles (2.7 kilometers) or nine Queen Elizabeth 2 ship-lengths in size, is not named after that 12-decked, transatlantic-crossing flagship for the Cunard Line. Instead, the name is assigned by the NASA-supported Minor Planet Center in Cambridge, Mass., which gives each newly discovered asteroid a provisional designation starting with the year of first detection, along with an alphanumeric code indicating the half-month it was discovered, and the sequence within that half-month. Radar images from the Goldstone antenna could resolve features on the asteroid as small as 12 feet (3.75 meters) across, even from 4 million miles away. Asteroids, which are always exposed to the sun, can be shaped like almost anything under it. Those previously imaged by radar and spacecraft have looked like dog bones, bowling pins, spheroids, diamonds, muffins, and potatoes. To find out what 1998 QE2 looks like, stay tuned. Between May 30 and June 9, radar astronomers using NASA’s 230-foot-wide (70 meter) Deep Space Network antenna at Goldstone, Calif., and the Arecibo Observatory in Puerto Rico, are planning an extensive campaign of observations. The two telescopes have complementary imaging capabilities that will enable astronomers to learn as much as possible about the asteroid during its brief visit near Earth. NASA places a high priority on tracking asteroids and protecting our home planet from them. 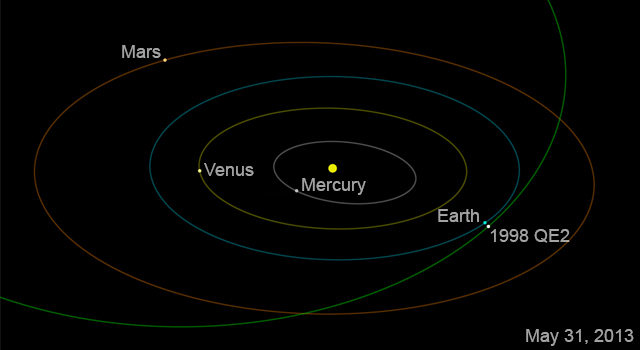 In fact, the U.S. has the most robust and productive survey and detection program for discovering near-Earth objects. To date, U.S. assets have discovered over 98 percent of the known NEOs. In 2012, the NEO budget was increased from $6 million to $20 million. Literally dozens of people are involved with some aspect of near-Earth object (NEO) research across NASA and its centers. Moreover, there are many more people involved in researching and understanding the nature of asteroids and comets, including those that come close to the Earth, plus those who are trying to find and track them in the first place. In 2016, NASA will launch a robotic probe to one of the most potentially hazardous of the known NEOs. The OSIRIS-REx mission to asteroid (101955) Bennu will be a pathfinder for future spacecraft designed to perform reconnaissance on any newly-discovered threatening objects. Aside from monitoring potential threats, the study of asteroids and comets enables a valuable opportunity to learn more about the origins of our solar system, the source of water on Earth, and even the origin of organic molecules that lead to the development of life. NASA recently announced developing a first-ever mission to identify, capture and relocate an asteroid for human exploration. Using game-changing technologies advanced by the Administration, this mission would mark an unprecedented technological achievement that raises the bar of what humans can do in space. Capturing and redirecting an asteroid will integrate the best of NASA’s science, technology and human exploration capabilities and draw on the innovation of America’s brightest scientists and engineers. The trajectory of the Russia meteor was significantly different than the trajectory of the asteroid 2012 DA14, which hours later made its flyby of Earth, making it a completely unrelated object. The Russia meteor is the largest reported since 1908, when a meteor hit Tunguska, Siberia…. 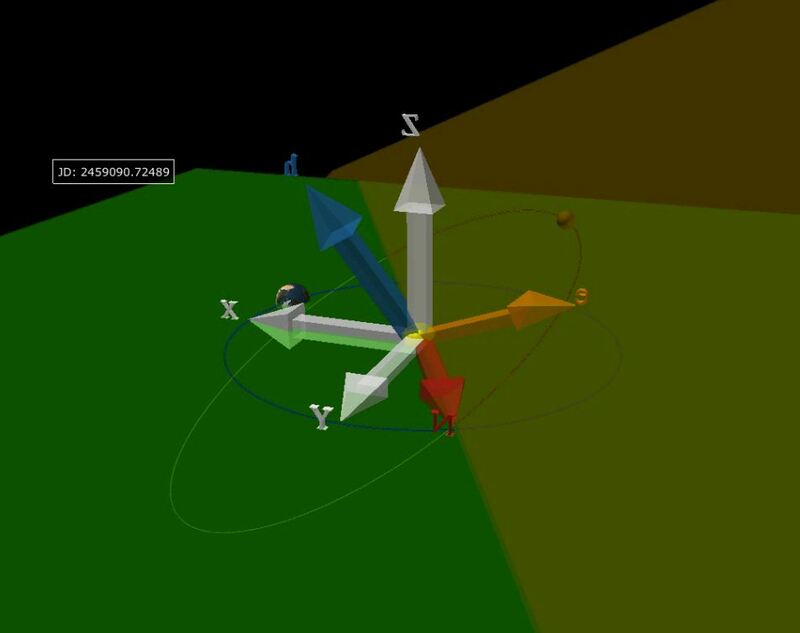 Simulation of the asteroid in a realistic Solar System to show gravitational perturbations. Sizes of Sun and planets are not to scale. 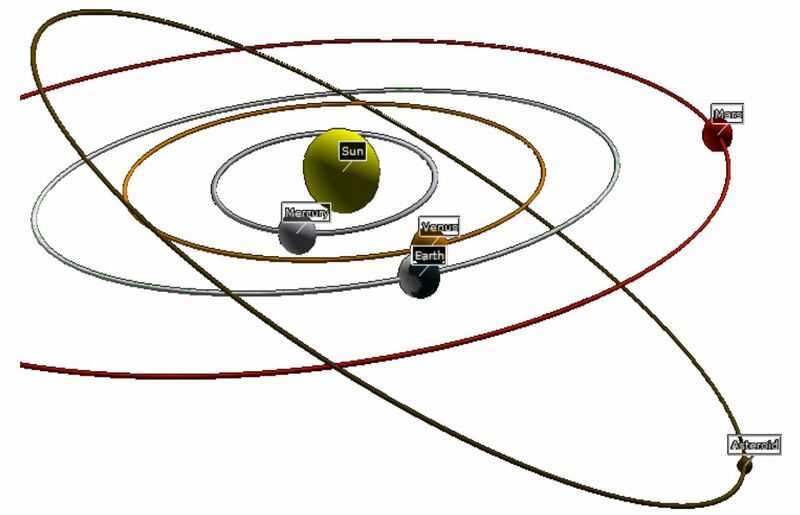 Distances, inclination angles, and shapes of orbits are to scale. 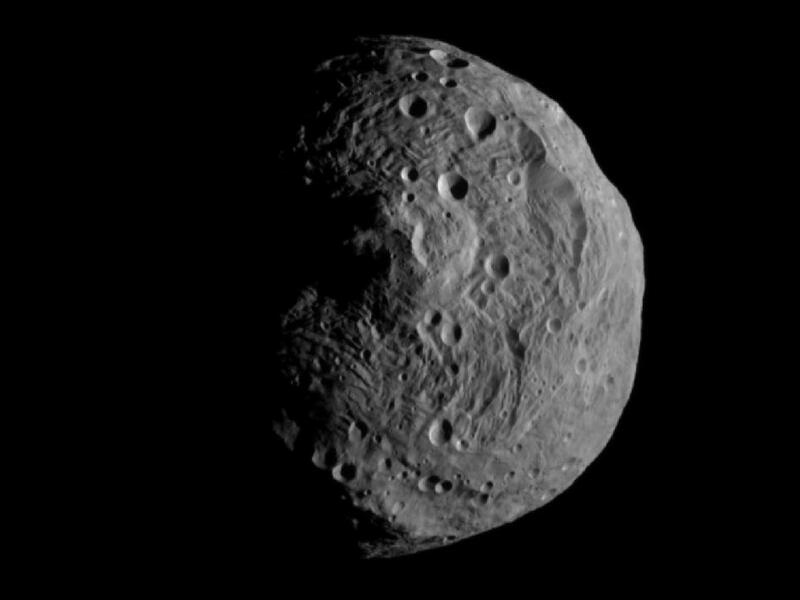 NASA’s Dawn spacecraft has returned the first close-up image after beginning its orbit around the giant asteroid Vesta. On Friday, July 15, Dawn became the first probe to enter orbit around an object in the main asteroid belt between Mars and Jupiter. 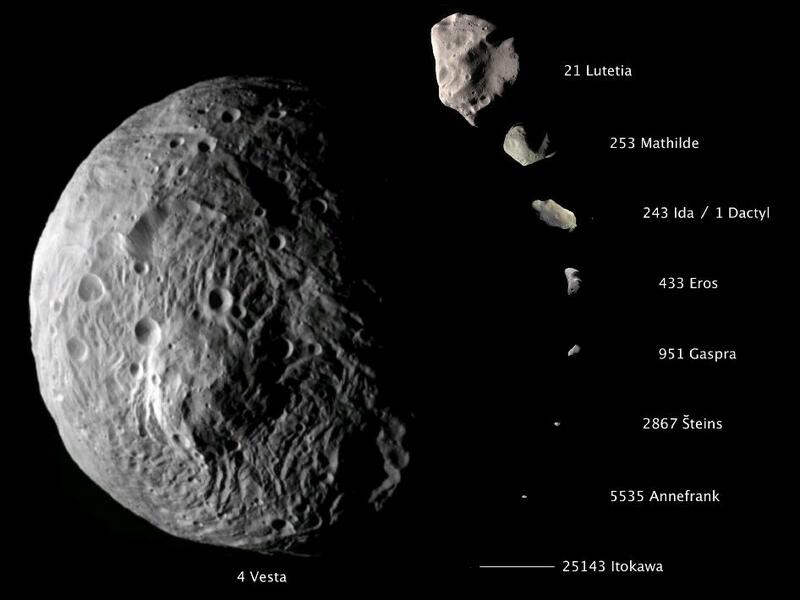 In addition, navigators will measure the strength of Vesta’s gravitational tug on the spacecraft to compute the asteroid’s mass with much greater accuracy than has been previously available. That will allow them to refine the time of orbit insertion. Dawn will spend one year orbiting Vesta, then travel to a second destination, the dwarf planet Ceres, arriving in February 2015. The mission to Vesta and Ceres is managed by JPL for the agency’s Science Mission Directorate in Washington. Dawn is a project of the directorate’s Discovery Program, which is managed by NASA’s Marshall Space Flight Center in Huntsville, Ala.
UCLA is responsible for Dawn mission science. Orbital Sciences Corp. of Dulles, Va., designed and built the spacecraft. The German Aerospace Center, the Max Planck Institute for Solar System Research, the Italian Space Agency and the Italian National Astrophysical Institute are part of the mission’s team.